It’s time to Spring Forward with the Kingdom Agenda! Our new sermon series and Bible study will keep our focus on our theme verse for the year, Matthew 6:33. We are seeking first the Kingdom of God! We started the year off with a bang with special guest speaker, Evangelist Frank Shelton on March 4th. This Sunday was not like any other we have had at NGCC. Our focus as a church will be evangelism training! We learned how to share the Gospel Message with the dying world! This will set the stage for our Good Friday service and our Resurrection Sunday Celebration! Followed by Pentecost Sunday as we celebrate the coming of the Holy Spirit with an outside service. So as we prepare to Spring Forward for God’s Kingdom, please be in prayer that NGCC can be that light of the world Jesus called us to be! Thank you, Jesus, for these opportunities to share in Your ministry work! To God be the Glory! Save Souls, Jesus!…One at the time! Please remember the 1st of every month we highlight the benevolent offering – this money goes to help the members of the church family in times of need. Thank you to all who have given… it is much appreciated. Our food pantry is doing pretty well – thank you to all who have given to this need, We have been able to help many people this past year. We are excited that Spring is finally here! The CM has a lot of cool events coming up! Kingdom Kids Wednesday program is up and going from 6:30 to 8. Children in elementary school are invited to attend each week for an exciting object lesson that is interactive! We also do crafts and play games! This year we will have our annual Easter Egg Hunt on Saturday, 3/31 at 1:00. Children will enjoy games, crafts, story time, “The Hunt”, ad well as a visit from EB! Children will be able to visit and take pictures with EB. We are collecting plastic eggs and candy that will fit in the eggs. There is a box located at the back of the church. Please see Kim or Lena if you would like to help on the day of the Hunt or have any questions. Our outdoor Pentecost Sunday celebration is another fun event for our children as we welcome those from the community. We will have a fun lesson, games, and crafts! Lots of fun to be had! Recently, the CM and Pastor Paul had an opportunity to sit down with Principal Rodgers from North Glen Elementary. We wanted to discover how NGCC can better reach out and help the students and staff. Stay tuned for more details and opportunities to get involved. By now all current volunteers should have received their forms for a background check. If you have not already done so, please get them filled out and turned back in. Everyone that wishes to volunteer with the children MUST submit to and be approved by background check prior to working in the children’s area. Please note: for the safety of our children only those who have submitted to and been approved by a background check are permitted to be in the children’s areas. We are currently working on a date to hold a Paint Night Fellowship! Please stay tuned for more information! The women and men’s ministry joined together to see the movie from Richard Wumbrand that began the Voice of the Martyrs after he was imprisoned and tortured for his belief in Jesus. Please continue to pray for me as I am on a sabbatical. The Men’s Ministry continues to gain momentum into 2018 as more men are joining in the group. We had a great time of fellowship and fun with our recent bowling activity, involving high attendance and also it was a good opportunity for fathers and sons to participate together. There will be other events where the dads can bring their sons to join us. Coming up very soon is the 2018 IGNITE Men’s Conference in March. This will be a weekend event in Lynchburg, Virginia as we join thousands of other men to hear dynamic well-known speakers, good music with national recording artists, outdoor expos of all interests, as well as worship and lots of fun mixed in. The event will encourage and challenge us in our Christian faith and will bond us together as brothers striving to live for God. As spring nears and the weather warms up, we will be planning some outdoor activities to include fun activities and potential opportunities for ministry and outreach to our community. All ideas are welcomed and will be considered. 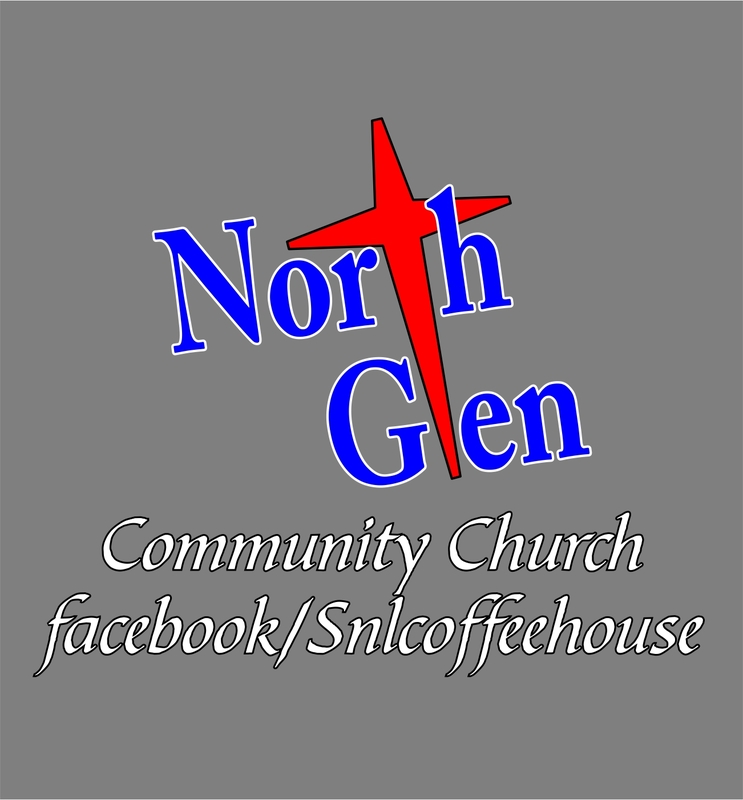 If you are a Facebook user, check out our NGCC Men’s Ministry Group page for information and encouragement. NGCC Men, let us ” press on toward the goal for the prize of the upward call of God in Christ Jesus.” – Phillipians 3:14 Let us seek to serve in our church and out to our community. Let us follow and support our Pastor and pursue the noble calling to live as Kingdom Men with the Kingdom Vision. Our Father in Heaven has given so much to us and expects us to give our best for Him. He is equipping us even now. 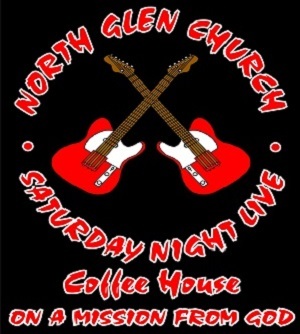 We need more volunteers to help run the sound on Sundays and during special events such as the Coffee House. We also would like more volunteers for work on the computers, camera, and setting up the stage area for Sundays and special events. If you would like to get involved with the Praise and Worship/ Tech team, please see me. As spring arrives and we get ramped up for outdoor Ministries to the community, please remember to pick up any litter or trash in the parking lot that may have come out of your vehicle as the wind may blow this into the community. Also if possible as we celebrate Easter and Pentecost Sunday we are expecting many guests and their families to come visit us, so please (if you can), leave the main parking lot and spots close to the church for our guests in the community. We have much parking available in the rear. Thank you. Please pray for continued protection and safety for church building and surrounding areas. Spring is around the corner, so PTL! For prayer requests, please email to info@northglenchurch.com. At NGCC, we strive to make everyone welcome, to know they can come just as they are, and to make them feel wanted and loved! We have a special needs ministry Bible study available at 10am for adults with special needs. Also, we have volunteers ready to have a buddy during our children’s church service at 11am. Please see me if you have any questions. If you are interested in helping out with our awesome friends, please let me know! For those who are interested in donating food to the ministry, the sign-up sheet for our needs will be posted on the bulletin board in the hall. Besides serving through donations, there are many areas of service with this ministry: serving food, cleaning up afterwards to place the church back in order for Sunday, setting up Wednesday night before the event, greeting newcomers throughout the evening, selling coffee house tee shirts, ensuring supplies even in the bathrooms are stocked, and promoting the events through passing out fliers and sharing on Facebook. The help from the members, families, and friends is much appreciated as we serve the community together. Reminder: Doors open at 7pm for fellowship and food. Children, ages 5 through 5th grade have entertainment upstairs beginning at 7:45pm. Childcare is provided from 7:45 to 10pm. Parents must return to pick their child up at 10pm. Help with childcare is always appreciated. Kim Granger is now in charge of the children’s entertainment for the Coffee House so anyone interested in helping out should see her. You must be at least 21 years old to lead or 18 to be helper and be able to pass a background check. PS: Don’t forget that we also have long and short sleeve Coffee House t-shirts for sale. See logos below of the front and back. Shirts come in short sleeve ($10) and long sleeve ($15) in gray, black, purple, and orange. We are ‘On a Mission from God’. Thanks for your support. 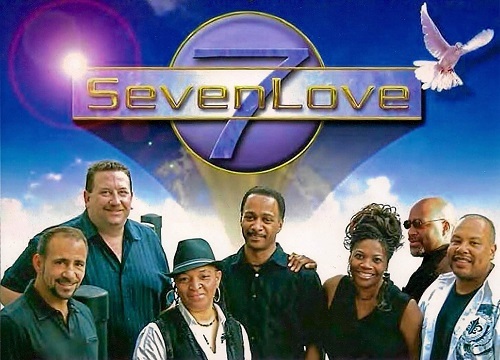 On March 17th, SevenLove’s Christian Funk/Gospel will bless us that evening. Sevenlove began its ministry in 1998. They have a 70’s-80’s hard Funk Rock R&B sound that doesn’t water down the Jesus lyrics. Their mission is to to utilize the tool of urban contemporary music to minister to those who wrestle with the issue of living boldly for Christ in this present world-while tearing down man-made traditions that have prevented people from appreciating God! 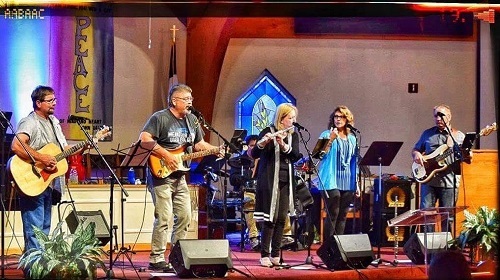 On May 19th, our own church bass player Gary Martin and his band Transparency will bless us this evening with Contemporary Christian Music: www.transparencyband.com. Also joining the band this evening will be past performers Steve Kellum and Scott Steers.